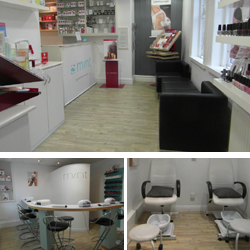 The Beauty Rooms was established in 1990 and is owned by the Mint Nail & Beauty group but has a whole different vibe. Situated just between Northgate & Wood St in Wakefield it has a much more relaxed atmosphere. It offers a wide range of advanced treatments for the face & body as well as a full range of Mint nail & beauty treatments- some of which are listed below. Click here for full details of prices & treatments available. * Apologies but due to technical problems the Beauty Rooms website is currently unavailable. There is some paid parking in Gills Yard otherwise the nearest parking is on Northgate.